Currently watching Patton 360 right now which came out in the History Channel. 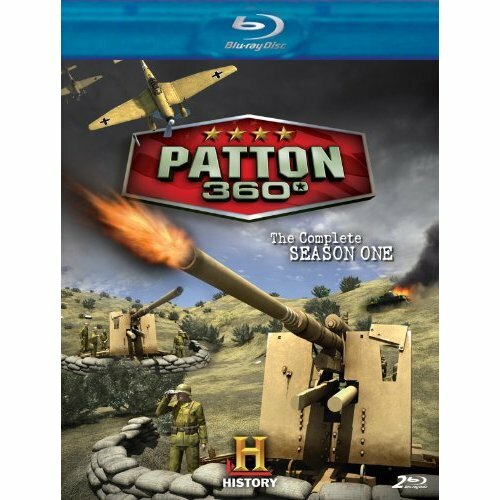 Patton 360 is a 10 episode documentary by Flight 33 Productions on the life of famous World War II General, George S. Patton Jr.
Its quite an interesting documentary not only because it melds CGI with old video footage from the 40's, but primarily because it interviews first hand a lot of people who served under him...and I mean a lot! As well as authors who wrote books about the famous general. So there is a lot of material there that paints a realistic and unbiased portrayal of the general, both good and bad. 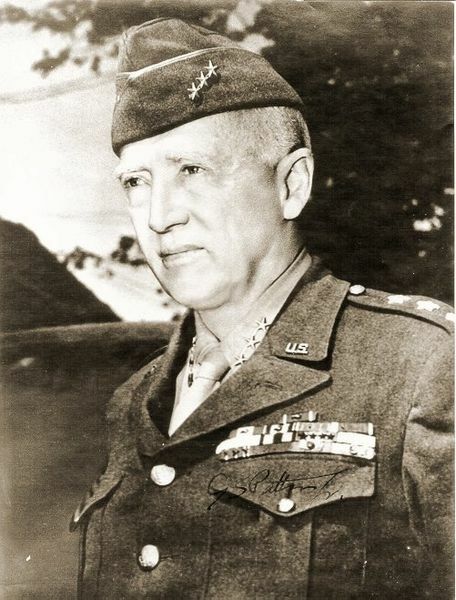 Gen. George S Patton was no doubt a great general because of his perfect execution of Allied armor in a battlefield in sync with artillery, infantry and aircraft (for ground support). He was criticised greatly for his heavy handed approach in running his command as well as rubbing people the wrong way (especially his superiors and fellow generals) but in the end he always got results. I remember in the tv series, Band of Brothers, after the Battle of Bastogne, some men of Easy Company were being interviewed about how they felt about being rescued by Gen Patton's 3rd Army and they said that they didn't need to be rescued. What was amazing about that feat was that Patton was able to accomplish moving his entire army (tanks and support vehicles) across a large distance in the shortest time possible. Proving that he was not only a master of tactics but also of logistics. One other great movie of Patton that I watched was the self titled Patton which starred George C. Scott that went on to reap a lot of rewards at the Academy Awards. One thing I can't forget about that movie was that legendary speech scene in the movie that was an amalgamation of the pep talks he made to rouse his men before battle. You know what I feel is the saddest thing about General George S. Patton's life was?, that he died too early and so wastefully. Gen Patton died on December 9, 1945 when his vehicle got hit by a military truck at low speed in already peace time Germany. He died because during the light impact, he got thrust forward and hit a metal part of the partition. The injury severed his spinal cord and on December 21, 1945 he died of pulmonary embolism.